Thinking of Trying Speed Skating? If you have experience in hockey or figure skating, you already have a lot of the skills required to be a speed skater. Many of the fundamental skills, such as agility, balance and coordination are the same as hockey and figure skating. 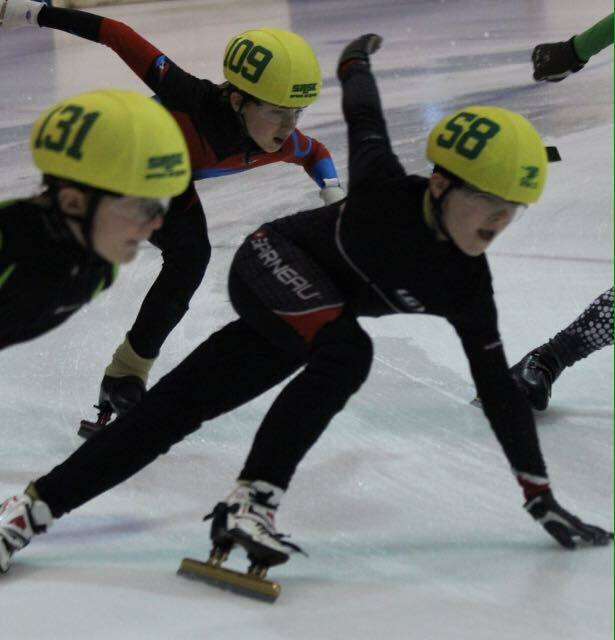 Speed skating allows parents and skaters to select how much time and dedication they put into the sport. Skaters can enter as few or as many meets as they wish. Instead of being segregated by age and gender, speed skaters compete based on ability, as measured by fastest time. This means that competitors are guaranteed to be matched with skaters of similar ability. This provides a great atmosphere for competition for all skaters. The beauty of speed skating is everybody competes at every meet. There are no worries of ice time or preferential judging. Still not convinced? Contact us to give it a try.